Working from home definitely has its advantages. My favorite one has always been getting to have breakfast or lunch out with my kids before they head off for the day. 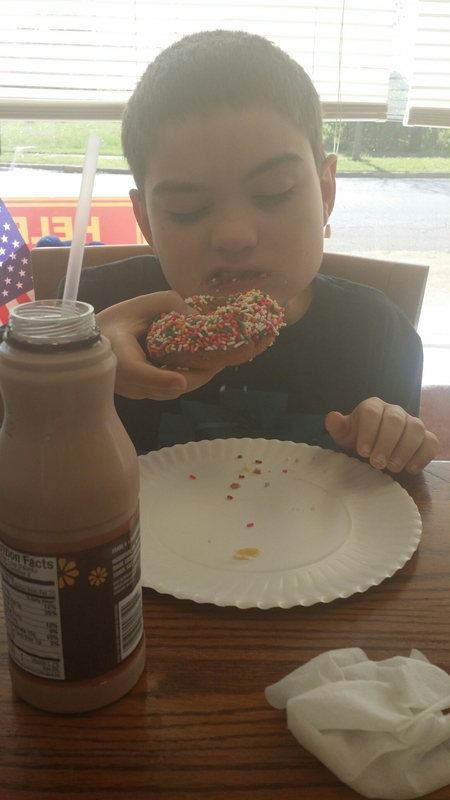 Jake’s favorite spot is the local doughnut shop. 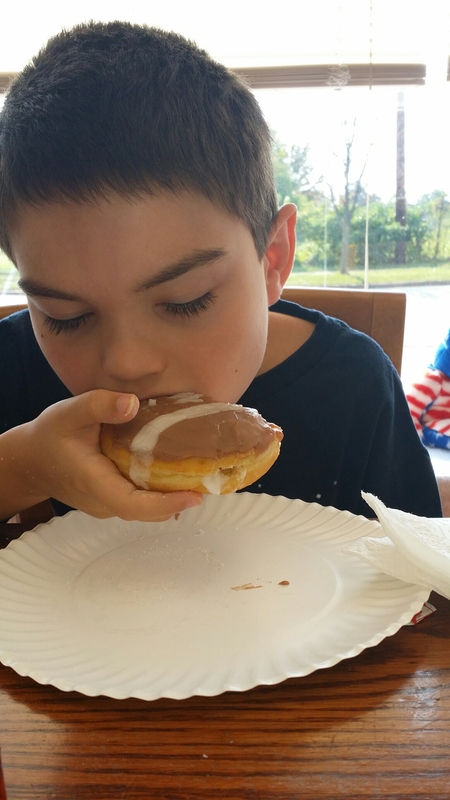 He loves having breakfast there so we go once a week on the way to school and sit there, eating fresh hot doughnuts and watching the bakers in the kitchen mix and knead dough, cut out doughnut shapes (today was a football because of the big game tonight! ), and drizzle icing on the yummy baked goodness. We talk about all sorts of things. It’s such a great relaxed way to start a school day, and you can’t beat the price for just eighty cents a doughnut!